Home /Tarot/Do You Have to Be Psychic to Read Tarot Cards? Have you ever had a great Tarot reading and wondered if you could use this amazing resource yourself? 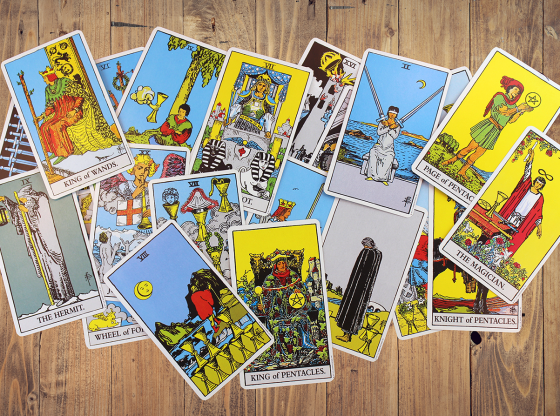 Many of my clients have expressed the desire to read cards, and, in the same breath, said, “But I’m not psychic, so I guess I can’t.” This isn’t true! 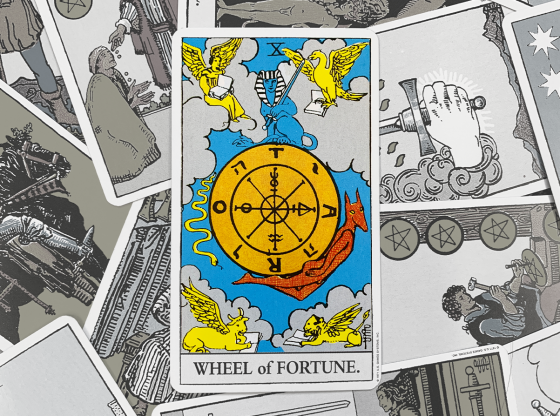 If you have the patience and the discipline to learn the art of Tarot reading, you can absolutely do it on your own. What you need to read Tarot effectively is a relationship with the cards. This comes through experience, study, and developing your intuition. No one, no matter how naturally psychic, sits down for the first time with a deck of Tarot cards and reads them flawlessly. Intuition is that doorway to our higher self, or wise self, that we can all access. Most people don’t really pay attention to their intuition, but, if asked, can name a time when they had a feeling about something and then were proved right by unfolding circumstances. This is basic intuition at work. Reading cards requires that we actually know how our intuition speaks to/through us and how to drop into the headspace to receive it. • Meditate or have some other practice to help you learn to quiet your mind. • Investigate different kinds of psychic abilities, such as clairsentience, clairvoyance, clairaudience, or claircognizance to see if your intuition may be coming through in these forms. • Practice visualization or guided meditation to learn to focus your imagination. • Listen to your hunches, ideas, and inspirations—just start paying more attention to your “first thought, best thought” response to situations. 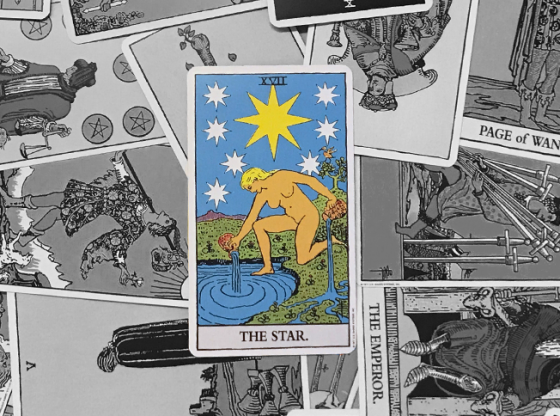 There is a huge body of knowledge surrounding the Tarot. 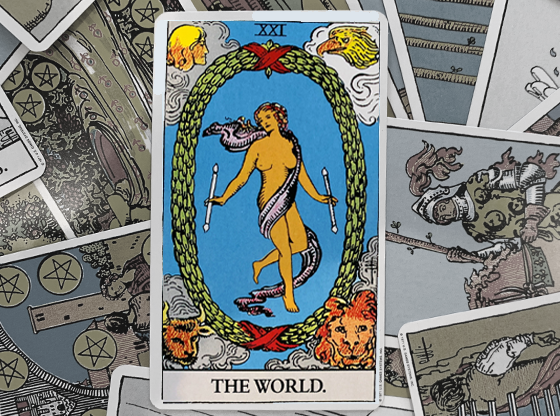 It’s worthwhile to study its history, theories about Tarot, and the traditional definition of the cards. I recommend getting a good Tarot dictionary as you will need to move beyond the little booklet that comes with the cards. I also suggest students start with a conventional deck before moving to oracle cards or variations on the Tarot. This way, you can first familarize yourself with the basic symbols. But don’t think you have to memorize each card’s definition before you start to read. You can study with Tarot professionals, take a class or online course, and learn from how-to books. All this is valuable. But don’t get stuck on this part. 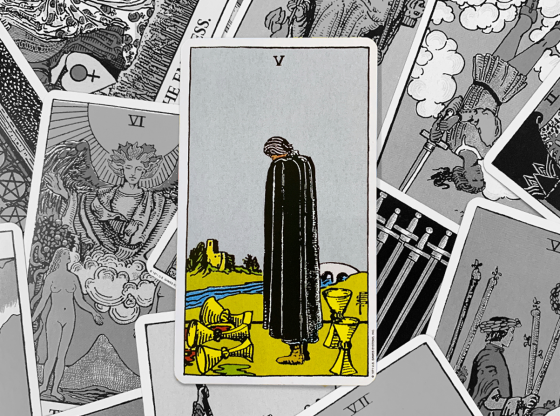 You need to get actual experience with the cards to really make the leap from curious to competent with the Tarot. • Draw a card a day. Spend time journaling about your impressions of the card (don’t look at the book). Be aware of how the card plays out in your day. • Keep a Tarot journal. 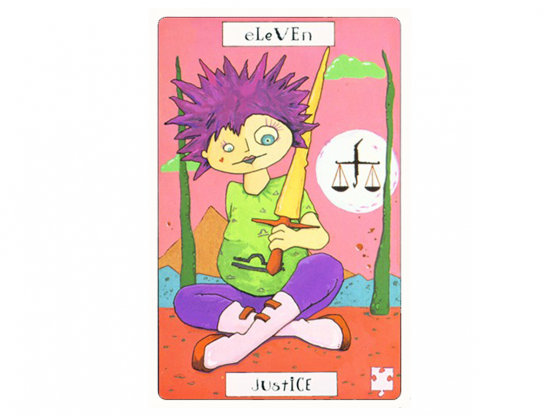 Record your practice readings, the card of the day, and other insights about the Tarot here. • Learn how to do a one-card spread. Keeping it simple will help you learn to apply cards to different situations. Pick areas of your life to draw cards about. Practice asking about past, present, and future situations. • Do at least one reading every few days where you don’t look at the book. Write down your intuitive impressions, even if they don’t make sense. Play with how the cards look and feel to you. 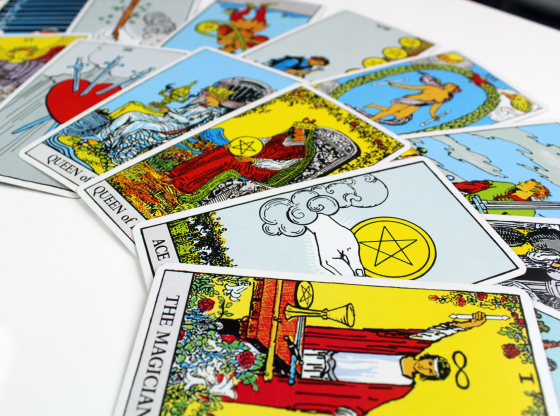 Psychic ability is a wonderful skill to develop, but it isn’t necessary to consider yourself a psychic to effectively read cards for yourself or for your friends. 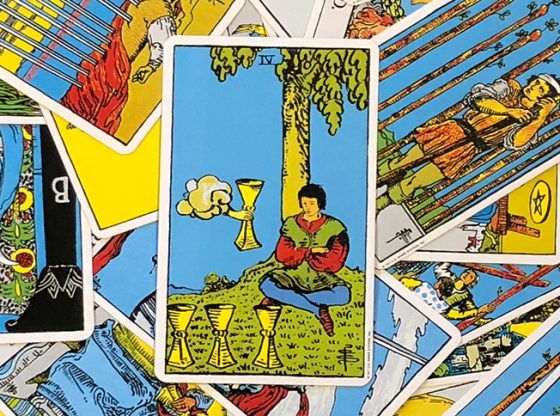 Reading professionally does require stepping up your game, but most people just want to have a meaningful, personal relationship with the Tarot rather than reading as a job. 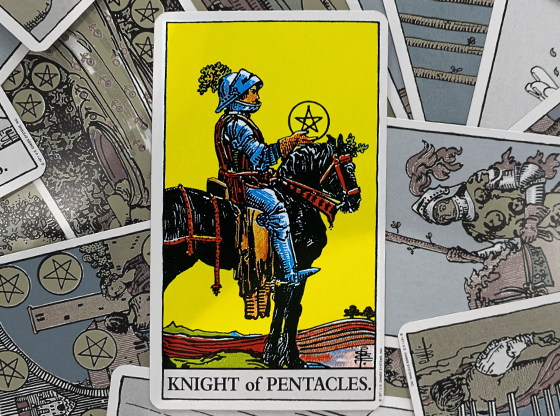 You can learn to read Tarot cards—and you will gain so much more intuitive insight for all of your life in the process. 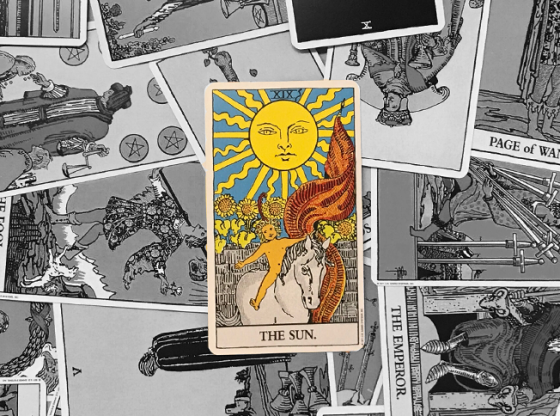 Do you want to learn Tarot? Getting professional readings is a great place to start. 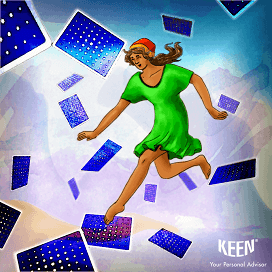 The Keen roster of advisors has many Tarot readers to choose from. Call today!